PREETHI Reddy was "a bright light, loveable, kind and protective" her little sister has said in a statement released on behalf of the young dentist's family. The statement comes after police uncovered CCTV footage of suspected murder-suicide killer Harshwardhan Narde needing help from a hotel porter to lift a large and heavy suitcase into the boot of a car. The bag contained the body of his former girlfriend Preethi Reddy. It is believed Dr Narde, 34, stabbed Ms Reddy, 32, to death in his room at the CBD Swissotel in Market St sometime on Sunday afternoon. He then drove to Kingsford before dumping her car with her body in the boot. Dr Narde, a Tamworth dentist, died on Monday night after deliberately driving his car into a fully laden semi-trailer at Willow Tree, south of Tamworth. The truck ­driver survived the firey crash in which Dr Narde perished. Dr Reddy's sister Nithya said in statement on behlaf of the family her sister's murder was an "unthinkable event". "Words cannot capture the pain we are feeling … she had been the happiest I'd ever seen her - she was living her best life," she said. Police believe Dr Narde drove back to his Tamworth home late on Sunday night after he killed his former lover and then drove his car into the truck. 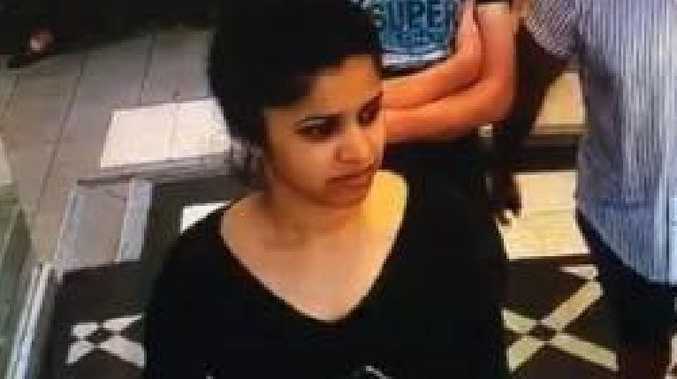 By this time, Dr Reddy's worried family and her current boyfriend had contacted police after she failed to return to her Penrith home. They told officers Dr Reddy had spent the weekend at a dentist convention at St Leonards. Investigators spoke to Dr Narde on Monday. He then texted his neighbours saying he "wasn't well and that his friend was missing". Hours later he was dead, Dr Reddy's body was found in her car at 9.30pm on Tuesday. "At that stage there was nothing to link him to Ms Reddy's disappearance,'' a police source said. Dr Reddy was last seen alive on CCTV at a George St McDonald's and then ­inside the foyer of the Swissotel after 2am on Sunday. At 11am, she rang her family to say she would head home after a late breakfast but she was not heard from or seen again. Investigators are trying to establish why Dr Reddy, who was in a new relationship and had told friends she did not want anything to do with her former boyfriend, went to his hotel room. "We know they are at a conference earlier in the day. We still don't know where she went before she was seen alone at 2.15am on Sunday,'' a police investigator said. A conference attendee said Dr Reddy and Dr Narde "looked happy and stayed back to chat''. "They looked happy and stayed back to chat after the conference ended at 6.30pm. Dr Harshwardhan Narde, 34, who had been in a relationship with murdered Sydney dentist Preethi Reddy, killed himself by crashing his BMW into a semi-trailer. Picture: Facebook. Dr Reddy's new boyfriend posted a heartbreaking tribute to her online on Tuesday. "I'll see you again one day … and we'll continue where we left off my angel," with a love heart emoji after desperately searching for her. 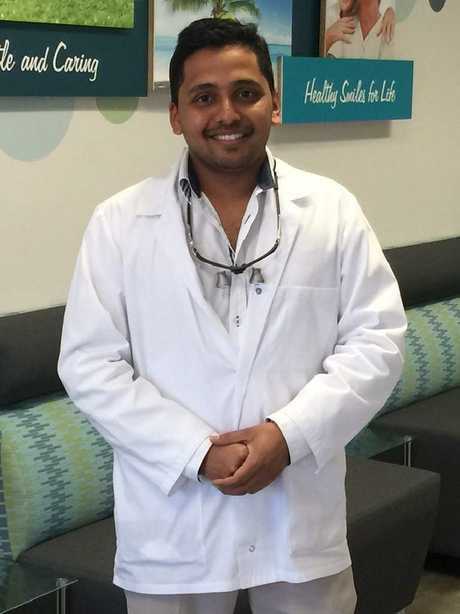 The Glenbrook dental surgery where Dr Reddy worked in the Blue Mountains was shut on Wednesday with a note taped to the doors saying "due to a tragedy concerning our beloved colleague, the surgery will be closed for the time being". Oasis Smiles Dental, where Dr Narde worked in Tamworth, posted a tribute to the dentist on Tuesday morning. "It is with great sadness we announce the tragic passing of our beloved Harsh," the post read. "We send our deepest sympathy and our love to his family in India. We will miss him beyond words." 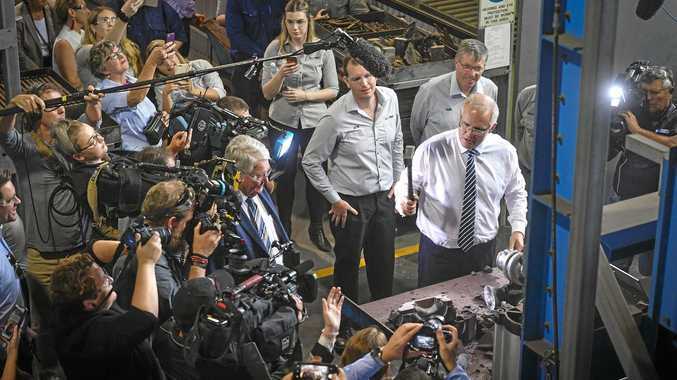 Navniit Anand, a friend of Dr Reddy's family said she was the daughter of a university professor and the pride and joy of her close-knit Western Sydney family. Dr Reddy's parents and sister were beside themselves with grief as they tried to process the disturbing death of their "lovely girl", he said. "Preethi comes from a very educated family, Dr Reddy, the father himself, is a university professor," Mr Anand said. "Words cannot capture the pain we are feeling with the passing of my beautiful big sister," Nithya said. "Prior to this unthinkable event, she had been the happiest I'd ever seen her - she was living her best life. "On behalf of my family, I want to thank anyone who shared our appeals to find her, and those who provided information to the police and us over the last few days. "While we now know that Preethi is no longer with us, the certainty of her movements on Saturday night and Sunday morning are not yet fully known, and we will stay in touch with detectives as they work it all out. "To the media, thank you for your assistance thus far, but please respect that our family, particularly my parents and Preethi's partner, (who) are going through the hardest thing that anyone can endure, and please respect that we need our privacy right now. "We ask that everyone keep that in mind that we are grieving and we need space to do that. "Finally, let the police do what they need to do to solve this horrific tragedy. Our family will never be the same without Preethi in our lives. "Please let her beautiful soul rest in peace."